By the year 2020, almost a half of a million people will be over 65 in Oregon*. As a result, the face of volunteerism is dramatically changing. With years perfecting their skills, these older adults want to continue to use their experience in retirement, stay engaged, and make a difference in their community. With over 10,000 nonprofit organizations in Oregon**, there are countless small projects — critical needs that are not being met because of a lack of resources and capacity across this sector. Metropolitan Family Service (MFS) announces the launch of their latest program innovation — Social Purpose Works — to connect metro Portland’s retiring professionals with nonprofits that need their support, experience and wisdom to further their missions. MFS, along with the Encore Fellows Program administered by Social Venture Partners, joins in a larger encore movement where people across the country are bringing decades of experience to tackle society’s biggest social challenges. Social Purpose Works recruits and matches professionally skilled volunteers with nonprofit projects that feature short-term, high impact, flexible work schedules and the satisfaction of making a difference. The new service features online tools for registration and project posting. A whole spectrum of pro bono professionals of all ages are already signing up. For more information, visit www.socialpurpose.works or send an email to spw@socialpurpose.works. Founded in 1950, MFS currently serves more than 10,000 children, families, and older adults in the greater Portland and SW Washington area each year. With a mission to help people move beyond the limitations of poverty, inequity and social isolation, MFS delivers prevention-focused services to help people succeed at home, in school and in the community. For more information, visit www.metfamily.org. 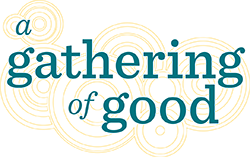 PrevSave the Date for A Gathering of Good! On Behalf of 82,000 Kids and Families…Thank You!! A Gathering of Good – A Record Breaking Success!